It may be a small town. But it has its many secrets. Experience the adventures again with your favorite characters! Books one through three - Monster Protector, Mom's Voice, and The Creature From Beyond - are all in this one book! The cover of Monster Protector is by Distant-Starlight. NOTE: This book collection will NOT be entered in contests. If you really like looking at pictures, then this is the book for you! Most of the pictures will be from my memorable experiences that I went through. I hope that you all enjoy! I went into my room and immediately spotted dust on my desk. I blew away the dust, and then took out my books and set them on my desk. I was about to sit down, when I suddenly heard Hansel scream. "Hansel?!" I cried out. I stood still and waited for a response from him. If you like adventure, mystery, humor, or cliffhangers, then this is the book for you! Books four through six - True and False, Jorgie Special, and - are all in this one book! Do you like the shipping of Slappy and Shelly? 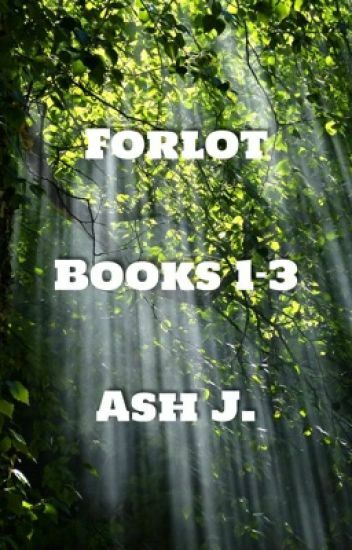 Or perhaps you really like reading Forlot_Forever's fanfictions. Whatever the reason may be, you have come to the right book! Experience the fanfictions once again in this collection of grammar-free fanfictions with Slappy from Goosebumps and Forlot_Forever's Shelly Madison. I do not own Goosebumps. All rights go to R.L. Stine. Are you bored? Do you have nothing to do? Then prepare to be challenged. 'Cause I will make sure that you are not bored! I do not own any characters that are not from my Forlot series. All rights go to the creators. But I do own Forlot and its characters. Do you like role playing? Are you a fan of Goosebumps? You have come to the right place! All rights go to R.L. Stine. I only own Shelly and all Forlot characters. Slappy is with the love of his life, Shelly Madison. But that all changes when Mary-Ellen tells him that she is bearing his baby. Now Slappy must deal with her. However, it will not be easy. Behind both Slappy's and Shelly's backs, Mary-Ellen is sabotaging Shelly. She is using her grief of the deaths of her parents to make Slappy think that his love is crazy. Her evil plan succeeds. Will Slappy discover Mary-Ellen's wicked scheme? Or will he allow Shelly to go to a mental asylum and start falling in love with the mean doll? We then heard a phone ringing. "I will get it," Margie volunteered. She crossed the room and headed over to a table. She picked up the phone. "Hello? Excuse me? Who is this?" The others and I slowly walked to where she was. "Your name is Ava Campbell? And you want Margie Morgan? Nigel Sanders? And Hansel and Gretel Mason?" She nearly dropped the phone. "H-how do you know us?" What happens when two sisters argue over which franchise is the best, and then one of the sisters decides to invite one of the most dangerous villains to Forlot, causing the other sister to do the same? When Goosebumps fan Margie Morgan and Harry Potter fan Scarlett Morgan get in a fight over which franchise, Goosebumps or Harry Potter, is supreme, the sisters decide to bring to Forlot two of the most famous and powerful villains in fictional history, only to have it backfire on them. The prince was supposed to embrace the princess in a hug and dance with her. And then...kiss her. Calvin hugged me and tossed his script to the side, and then grabbed ahold of my wrists and spun me around. His hair danced wildly, and he laughed. When I heard his laughter, I began laughing too. I do not know why. I just felt...happy. I soon spotted Ms. Dia standing by the stage and not smiling. She was frowning. "Ah!" I screamed as I fell and hit the stage floor. "Ow." "Are you alright?" Calvin asked. "Y-yeah. J-just a bit sore." I tried getting back up, but I could not. I could not feel my legs.